Buy One Get One Free deals, Flat 50% off, Minimum 70% off & other crazy deals! Without them, where’s the fun in shopping online? For eCommerce owners, pricing their products is one of the most daunting tasks. They feel that not only should their prices be attractive for shoppers, but sales figures should always be in the peak of health. Online retailers use a variety of strategies to price their products to keep shoppers intrigued and coming back for more. 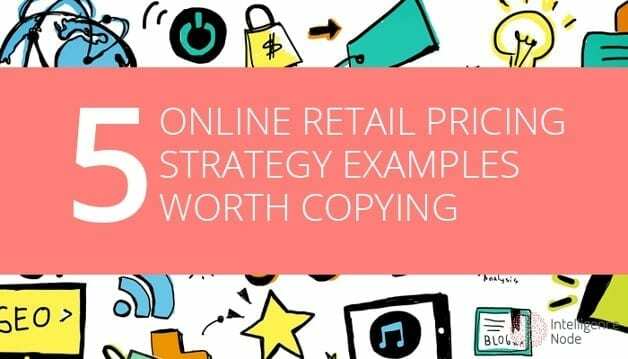 Here are the top 5 eCommerce pricing strategy examples we think are worth copying. We give top marks to basket-based pricing for the innovative method in which products are priced to entice customers into buying more. An excellent example of how this mechanism is deployed is the way Jet.com does it. These eCommerce shoppers are incentivized for buying recommended products. An intelligent real-time pricing algorithm runs in background of the store. Coined as ‘smart cart’, the algorithm matches their customers’ delivery location for selected merchandise with the closest trusted supplier that stocks them. The closer the distance between supplier and delivery location, the cheaper the product. This is a smart way of pricing products, since discounts can be applied while still maintaining profitability. Shopping around for the same product on different sites is a practice most of us are guilty of. In light of the fact that webrooming and showrooming are becoming more and more common, it’s even more important for retailers to keep their prices competitive. This works especially well when customers are shopping for the same or similar products across online stores. Keeping thousands of products competitively priced is a huge challenge, however, it’s a challenge that can be addressed with smart use of technology. Intelligence Node’s SaaS based pricing intelligence suite provides one of many such avenues. With our products, you can choose to be priced below the competition at desired absolute or percentage levels. With our rules-based features you can set automatic price adjustments to counter the competition in real-time. The motive behind this strategy is to keep the average cart spend high. One retailer who is using this strategy effectively is Amazon. The marketplace leader makes full use of its state of the art logistics network to not only serve its customers in record time, but also to use it as a profit making pricing strategy. Customers are given quick delivery options such as same day, next day or 2 day shipping, in return for an additional premium. So while Amazon can keep its prices lower than most of its competitors, it uses the quick delivery pricing model to drive profitability. Using real-time retail insights to determine the price at which your products are sold is the ideal way of ensuring profitability. Being lower than the competition at all times however, is not an advisable strategy. Instead, you can use out-of-stock situations identified in real-time by a retail analytics product like Incompetitor to pump up prices. Out-of-stock situations are opportune moments for raising prices as customers looking for these out-of-stock products on competing sites will surely navigate to you.